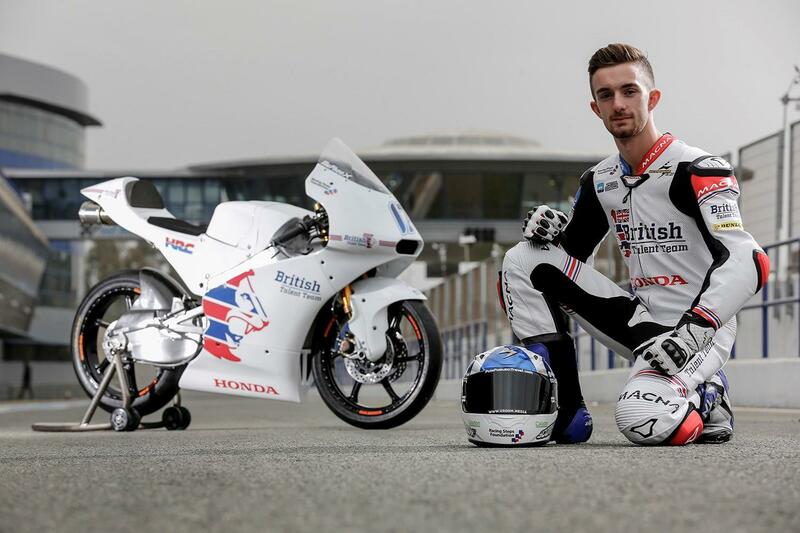 John McPhee has been left without a ride for the 2018 Moto3 season at the eleventh hour, with MCN’s sources in the MotoGP paddock believing that series bosses Dorna have taken the decision to shut down McPhee’s British Talent Honda squad after only one season of existence. Originally set up at the start of 2017 as an eventual route into the premier class for successful riders from the new British Talent Cup feeder series set to launch next year, the team will now be put on hiatus until the first generation of riders come through from the rookie series – a move that could take until 2020. But with McPhee being kept in the dark until the penultimate race of the season despite considerable interest from teams in both Moto2 and Moto3, it now looks like he will be placed by Dorna at a satellite team in the junior class. That comes despite a strong if inconsistent season for the Scottish racer, who has more than doubled his tally of podium finishes this season by scoring strong results at Qatar, Argentina and Assen. McPhee currently sits seventh in the championship going into this weekend’s Malaysian Grand Prix. His status hasn’t come as a huge shock, however, with Dorna refusing to confirm the status of the squad despite paddock rumours circulating for a number of rounds that the plan was to shutter it for the coming year.